Lake Property Inspection, LLC serves the beautiful Lake of the Ozarks region. Including, but not limited to, Lake Ozark, Osage Beach, Eldon, Camdenton, Sunrise Beach, Laurie, Brumley, Kaiser, and Jefferson City. Counties served include Miller, Camden, Morgan, Cole, Moniteau, Maries, Laclede, and Pulaski County. You can put our outstanding reputation for service and reliability to work for you. 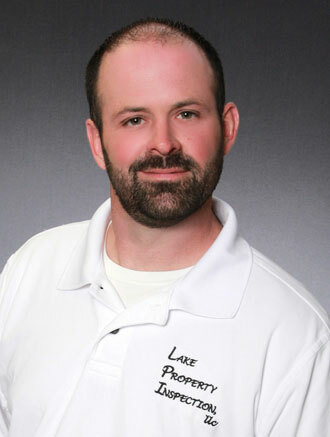 By using Lake Property Inspection, LLC, you benefit from dealing with one person, Luke Hancock, Certified Inspector. From the initial contact, to the actual inspection, you will have the convenience and pleasure of no lack of communication or confusion. Pleasant, prompt, customer service and immediate on-site reports are what we take great pride in. The latest technology and extensive experience allow us to deliver reports that meet or exceed the state standards. We also encourage your presence during the inspection. By being present at the inspection we can familiarize you with the home and explain things to you as they move through the house. Having been extensively trained to be familiar with a wide variety of situations. We believe that consumers have the right to expect the highest standards of thoroughness, fairness and effectiveness from their home inspector. All of our inspection reports must be authentic and stand up to critical examination. We continue to build our reputation one inspection at a time to ensure you get the quality service you expect.